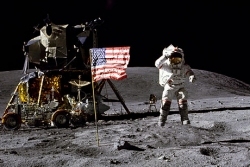 The 1960’s was an age of possibility, in April of 1961 the Soviet Union put the first man in space and in May of 1961 President Kennedy set the goal of putting the first man on the moon by the end of the decade. “Muscle cars” were popular, industrial robots were developed as were geosynchronous communications satellites, 8-Track and cassette tapes, and the world’s first “supercomputer”. Everything seemed possible. In popular culture, the civil rights movement gained momentum, along with an anti-war “hippie” culture developed and communes gained popularity. Partially due to the increased criminalization of drug use and partially due to the anti-war movement many college campuses saw violent confrontations between college students (and other activists) and law enforcement. In the political arena, in 1961 the Berlin wall was built to stem the tide of people fleeing communism. The U.S. was embroiled in the Vietnam War, Kennedy was assassinated, Johnson assumed the Presidency and was reelected and remained President through January 1969. In the 1960’s economist Arthur Okun created a simple system for measuring economic well-being called the “misery index” which was simply the inflation rate plus the unemployment rate. 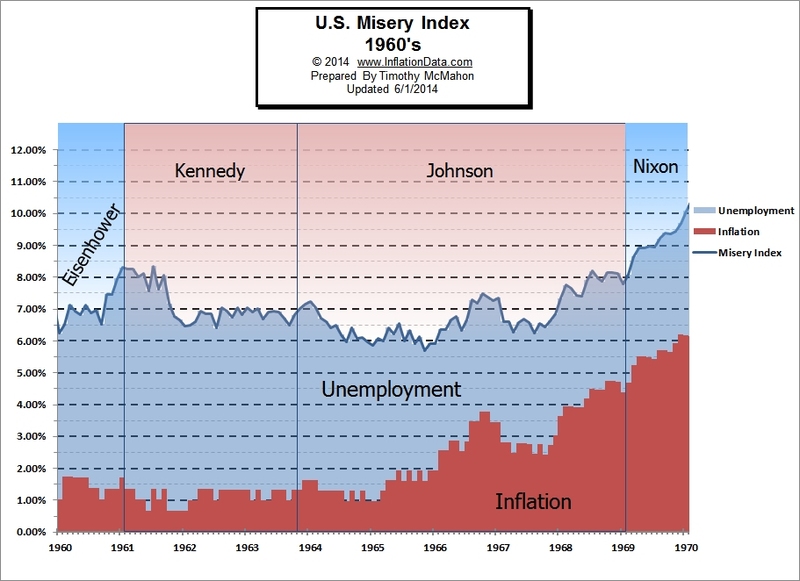 Interestingly during the 1960’s the misery index was one of the lowest on record dipping below 6% in late 1965. During the first half of the decade inflation remained below 2% while unemployment began around 7% and declined to 3.7% in 1966. The misery index bottomed in November of 1965 at 5.7% with unemployment at 4.1% and inflation at 1.6%. Shortly thereafter Johnson announced his “Great Society” initiative which began expanding social programs and by the end of the decade the misery index had nearly doubled to slightly below 10% (December 1969 inflation 6.2% and unemployment 3.5%). 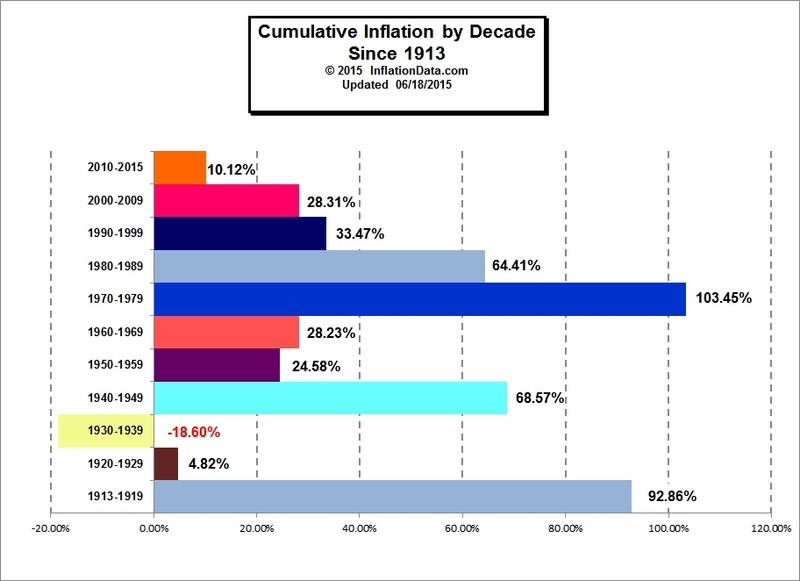 And by 1975 the misery index was almost 20%. 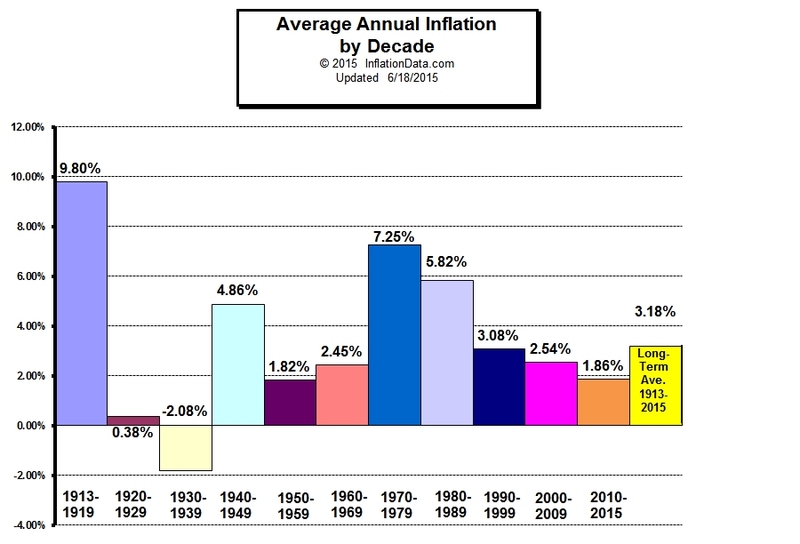 From the Average Annual Inflation by Decade chart we can see that the average inflation for the 1960′s was a moderate 2.32%. 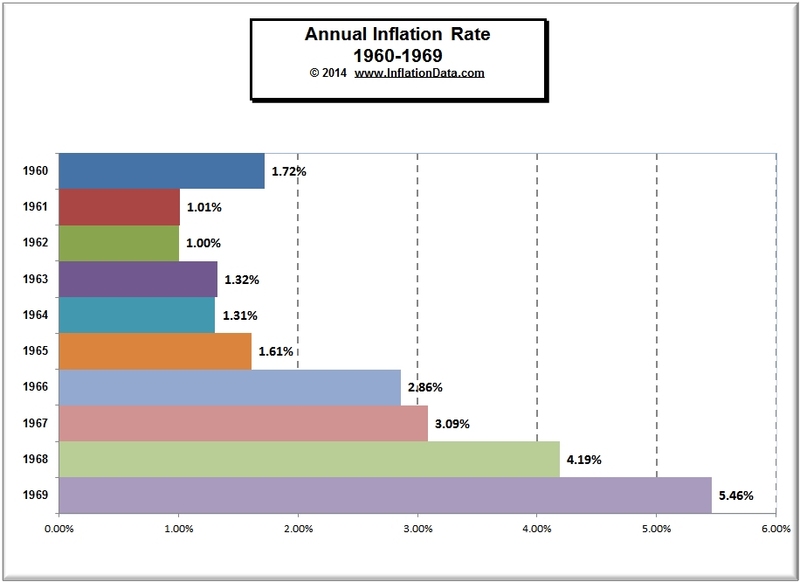 The following chart shows the inflation rates during the period from 1960-1969.